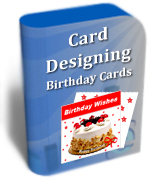 Simple and easy to use Birthday Cards Designing Software design and generate your own style Happy Birthday cards in simplified manner. Now you have the best software to design great looking Photo added Happy birthday cards in minimal time and efforts. Software is useful to design excellent looking Happy Birthday cards for Father, Mother, Brother, Sister, Husband, Wife, Teacher, Friend in simplified and easiest manner. Now no need to rush to the market as software is capable to design birthday cards yourself without extra spending and efforts. 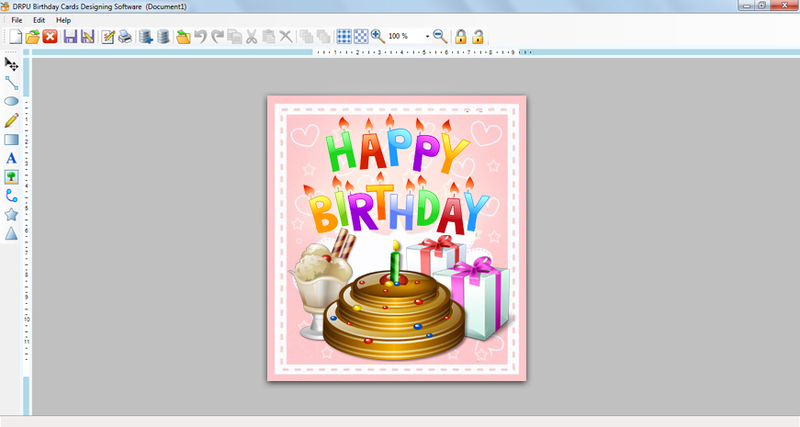 The greatest and ever popular birthday card designer software! 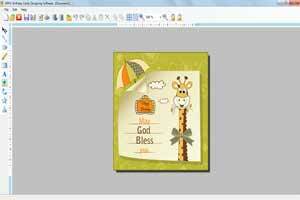 Design customized birthday cards with use of excellent birthday card designing software. Option to create folded Birthday Card. Option to add WordArt text-styling feature to the Birthday Card. Design and create Birthday Card in Rectangle, Rounded Rectangle, Ellipse and other similar shape. Option to specify the color and background settings of Birthday Card including Solid Color, Gradient, Image and Style settings. Option to include message using message templates available with the software. Option to select image from library during Birthday Card designing process. Data Set Series feature allows to generate the multiple copies of Birthday Card with different text value. Print created Birthday Card using advance print settings.